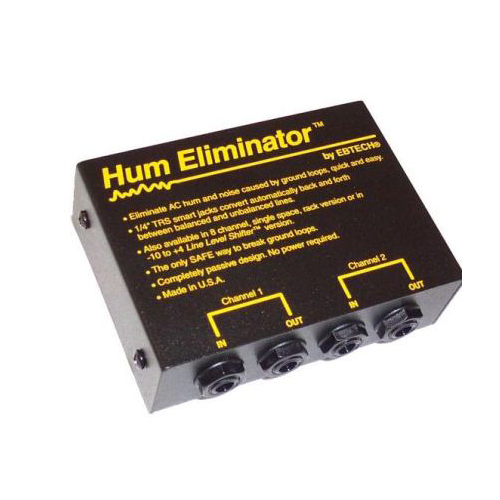 The Hum Eliminator™ does more than just prevent AC hum from being picked up by your sound systems. 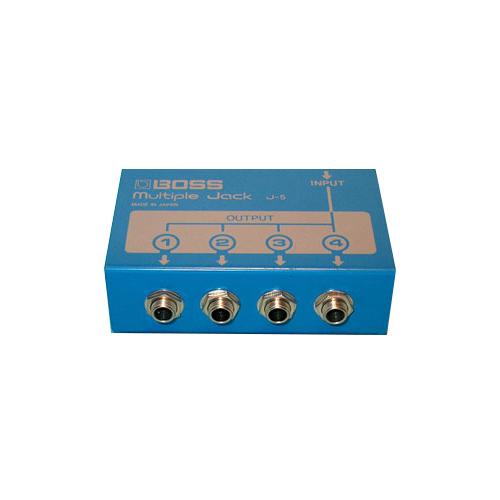 It also can be used as one of the most cost-effective ways to convert unbalanced signals to true balanced signals. Ground Loops – The Hum Eliminator™ prevents ground loop antennae from forming and picking up AC hum. AC hum & noise is almost always caused by a loop antenna effect across signal lines between two or more pieces of gear, or by long unbalanced cables picking up noise. Loop antenna(e) are basically a type of radio antenna, which tend to pick up the 60Hz (and harmonics) AC signal being broadcast by a building’s electrical current. These loop antennae are closed circuits usually along the ground wires and hence are commonly called ground loops. Balanced/Unbalanced – Unbalanced signals are more susceptible to picking up electrical noise & RF interference than balanced signals are. The longer the unbalanced cable, the greater the chance of a problem. The Hum Eliminator™ is one of the most cost-effective ways to convert between unbalanced signals and true balanced signals. • Many mixers have either unbalanced or “impedance balanced” monitor outs/aux sends. Use a Hum Eliminator™ to get true balanced monitor outs for noise-free performance. • When using more than one mixer (or submixing), there’s a huge chance of getting ground loops (and that buzz!). Use Hum Eliminators™ to prevent these ground loops. • Eliminating hum is one of the biggest challenges facing studios. 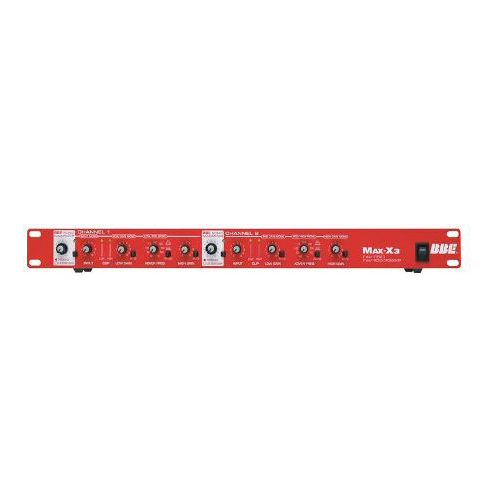 Many studios will run all of their line level gear through Hum Eliminators™ to help ensure noise-free recording. • Most keyboards, samplers, and synthesizers have unbalanced -10dBV outputs. 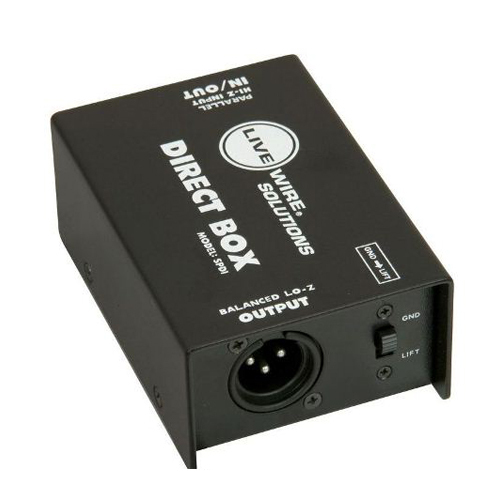 Use a Hum Eliminator™ to balance the signals if using with other –10dBV equipment. • To use a –10dBV unbalanced device with a +4dBu balanced device, use an EBTECH® Line Level Shifter™. • A common problem with live performance is long unbalanced cables picking up hum along the way. Balanced signals are more immune to picking up noise. Use the Hum Eliminator™ to balance long unbalanced signals. • Mobile DJs or bands never know when setting up their system if they’re going to get a hum or not. The electrical wiring changes from one building to another. What works fine at one gig might not work at the next. It’s worth the low cost to keep a Hum Eliminator™ available as nobody can afford to lose a gig because of hum problems. Some DJs run everything in their rig through Hum Eliminators to play it safe. • The main outs on most DJ mixers are -10dBV unbalanced RCA. When using with a +4dBu power amp, over 2/3rds of the amp’s volume can be lost. Use an EBTECH® Line Level Shifter™. • Running multiple amplifiers can create ground loops between the amplifiers, which will pick up the dreaded hum and buzz. Run each amplifier’s input line through a Hum.